A car thief doesn't need to get their hands on your keys to break into your vehicle. If you use a wireless, keyless system, or fob, to unlock your car, all they need to do is steal the signal it emits. Luckily there's a tool you can use to protect your fob from hackers that you may already have in your kitchen at home: tinfoil. Speaking with USA Today, retired FBI agent Holly Hubert said that wrapping car fobs in a layer of foil is the cheapest way to block their sensitive information from anyone who may be trying to access it. Hackers can easily infiltrate your car by using a device to amplify the fob signal or by copying the code it uses. And they don't even need to be in the same room as you to do it: They can hack the fob inside your pocket from the street outside your house or office. 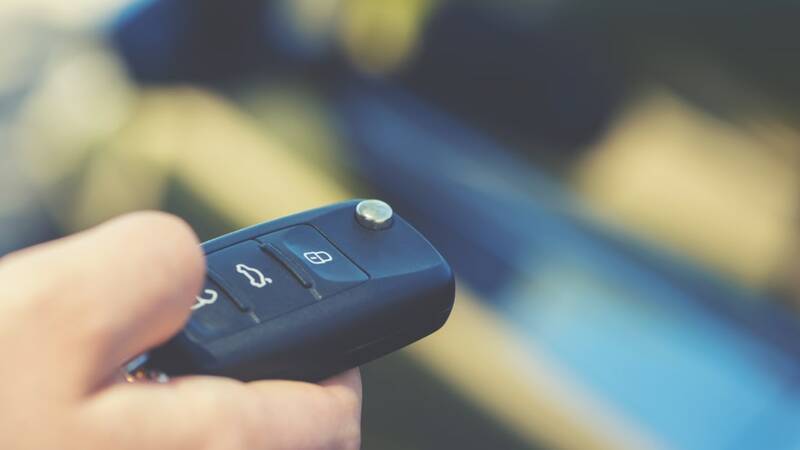 Electronic car theft is a growing problem for automobile manufacturers. Ideally fobs made in the future will come with cyber protection built-in, but until then the best way to keep your car safe is to carry your fob in an electromagnetic field-blocking shield when you go out. Bags made specifically to protect your key fob work better than foil, but they can cost more than $50. If tinfoil is all you can afford, it's better than nothing. At home, make sure to store your keys in a spot where they will continue to get protection. Dropping them in a metal coffee can is a lot smarter than leaving them out in the open on your kitchen counter.